Easy to use secure solution to review/convert your transactions and import into your accounting software. Convert CSV to QBJ and import into Quickbooks, (PC/Mac). 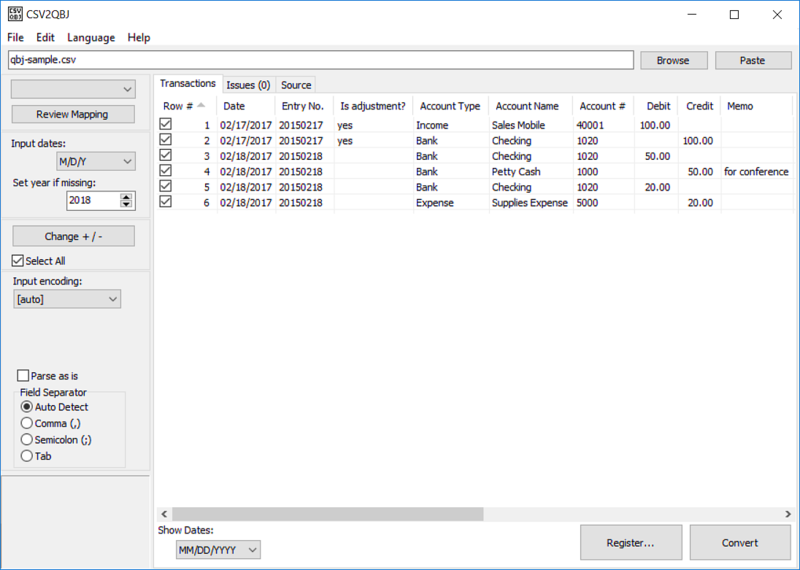 Extract transaction data from CSV or Excel files from your bank.